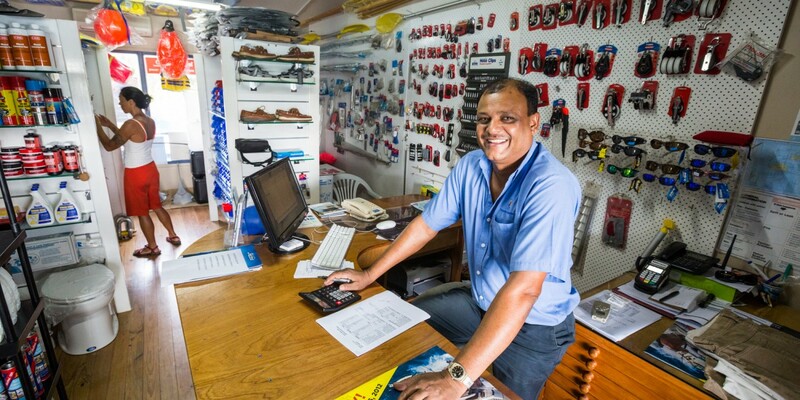 Owned and operated by Tradewinds Marine, the Yacht Shop’ is Fiji’s premier one stop shop for all boating needs. For well over 25 years the Yacht Shop has served the people of Fiji and continues to be Fiji’s most professional Boating Centre. The Yacht Shop has 5 fully equipped stores located throughout the Fiji Islands with one of these being conveniently situated onsite at Vuda Marina. Stocked brands include International Paints, Fusion Marine Electronics, Ronstan, iCom, Hobie, and a wide selection of ropes, rigging, epoxy, resins, safety equipment and general hardware supplies.